MORE TIME MORE MONEY! 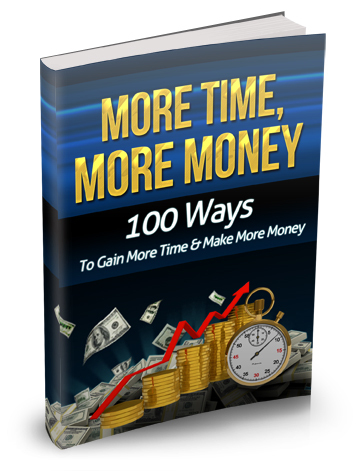 100 WAYS TO GAIN MORE TIME AND MAKE MORE MONEY! Powerful Ways To Gain More Time And Make More Money So You Can Do The Things You Love Doing And Acquire As Much Wealth As Your Can Bank Can Handle..."
Spend More Time With The Kids, Play Golf or Simply Sit On The Beach...You'll Have The Freedom!